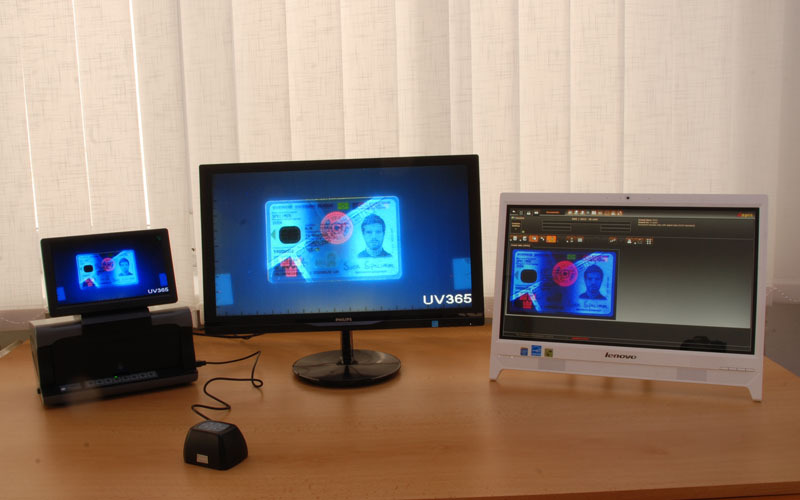 Connecting of our detectors and our reference databases you can create quality and helpful workplace for authentication and detection of banknotes, passports, ID cards or security documents. 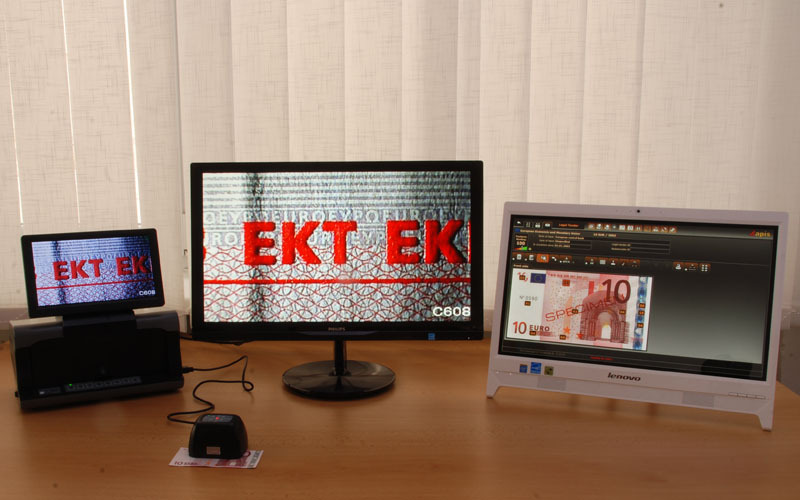 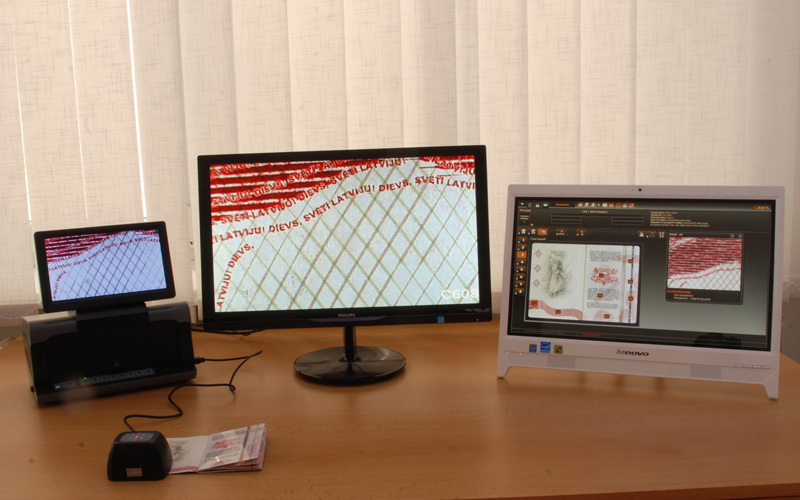 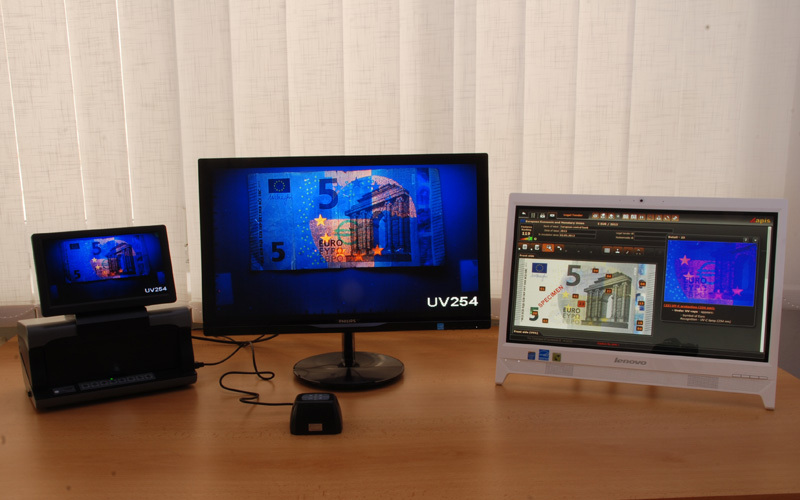 Forensic workstation consists of a detector C12 UVC, into this detector is connected a micromause C608 and an external LCD monitor via HDMI, on the second monitor is running a special knowledge database The Catalogue of Currencies or The Catalogue of Documents. 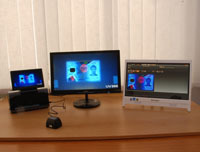 For checking and inspection in real time you can run simultaneously live view of inspected security feature and the security feature from reference database. 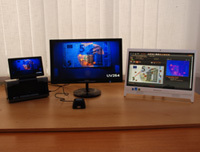 Live view - detector is connected to PC via mini USB port and captured picture can be displayed by web camera software. 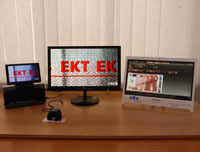 is inspected by micromouse C608 - microlettering under white light. 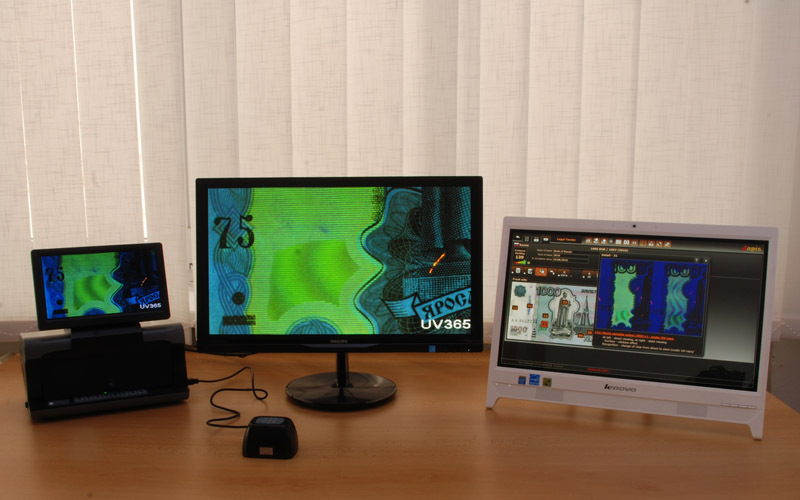 Detector C12 has functionality for image capture and saving to the internal memory. 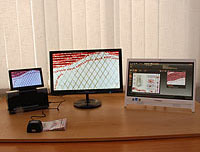 It is also possible to save images from micro mouse connected with C12. 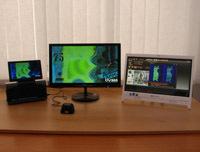 These images can be viewed directly on the device or they can be moved into the PC via USB cable for further processing.